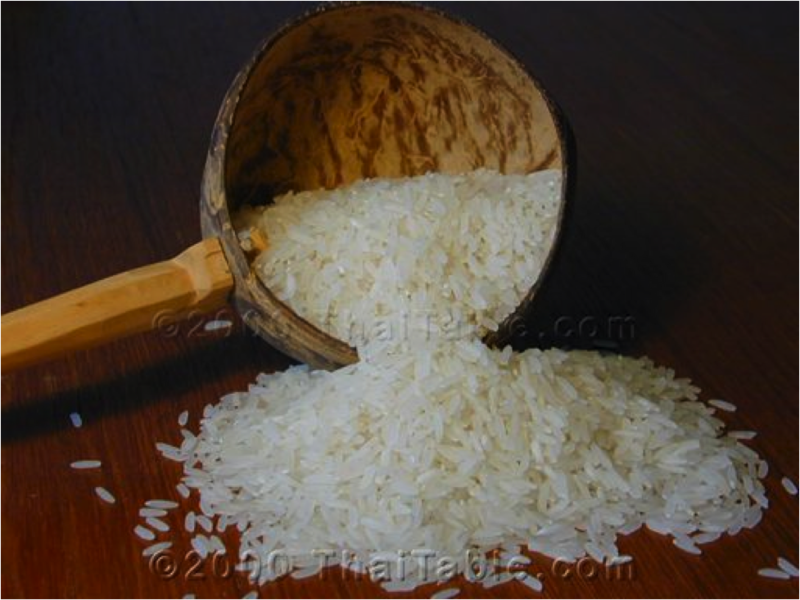 Dishes that you can cook using jasmine rice and information on how to cook Thai Jasmine rice. If you are craving for Asian and Thai food, then these are some of the recipes that you find online so you can easily prepare your very own home made Asian dish. Asian meals are known for its flavor and spices and the best variety of rice to use for these kinds of meals are jasmine rice. Jasmine Rice is a variety of rice from Thailand that has long grain and it is known for its strong fragrant and taste. It has a sticky texture which makes it ideal when cooking and preparing Thai food. So how do you cook jasmine rice? It is very easy to cook Jasmine rice. Although it is a sticky rice, cooking it is just like preparing other varieties of rice like the most common white rice or brown rice. To start cooking Thai Jasmine rice, you just need to take the serving size that you want per person and clean it using cold water. After washing the rice several times and the water used to wash the rice is clear already, pour enough cold water to the pot. The water should cover the rice and that there is a thumbs width of water above the rice. Let the water boil and then simmer for about 20 minutes. Open the lid of the pot and let it sit for another 10 minutes with the heat turned off to totally cook the rice. If you don’t have the time to cook your own Thai Jasmine rice, you can also opt to purchase those microwaveable Thai Jasmine rice that cooks in just 90 seconds. There are even some that comes in boil-in-a bag packaging that has been pre-measured and just needs to be submerged in boiling water and will be instantly cooked in just 10-12 minutes. This lessens the clean up and preparation time so you can still get to enjoy your favorite Thai meals even if you have a very busy schedule. So if you want a taste of Asia, try out Thai Jasmine rice now when preparing your next Asian dish.